Starcraft 2 is a highly nuanced and complicated game, technically speaking. With an extremely high skill ceiling and a baffling array of tactics, builds and plays, it can be quite daunting for new players to get involved in the game. 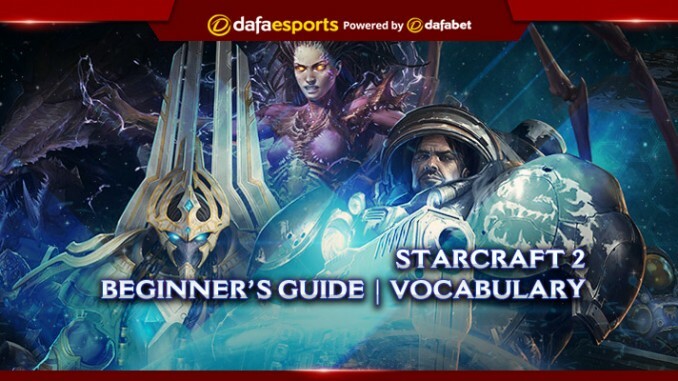 This guide will aim to help new players by highlighting some of the commonly used terms and phrases that may be useful to know. 1A – To simply attack. AA – Anti-Air, meaning it may target flying units. AoE – Area of Effect, meaning it targets all enemy units in a certain radius. APM – Actions Per Minute, the number of inputs a player makes per second – moving units, declaring actions or using their buildings. Note that a higher APM doesn’t necessarily mean more skill. AUR – Average Unspent Resources after each game. AV – Army Value, the resource cost of all your units. BO – Build Order, the order in which units and buildings are made by a player. BoX – Best of X, a tournament format. DPS – Damage Per Second. A measurement of how much damage a unit is inflicting every second and so a higher DPS means a more dangerous unit. FE – Fast Expansion, where a player expands their base quickly and aggressively. FF – Force Field, cast by the Protoss unit Sentry. GLHF – Good Luck, Have Fun. GTS – Game Time Seconds, the number of effective seconds that have passed in-game. This is typically 1:1, but differs depending on the game’s speed setting. MBS – Multiple Building Selection, the ability to select multiple buildings and have them perform the same task. 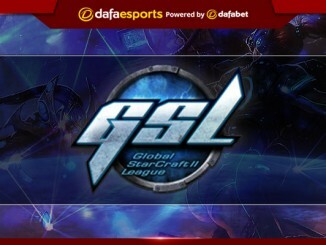 MSC – Mothership Core, the Protoss unit. RCR – Resource Collection Rate. TC – Twilight Council, a Protoss structure. A last-ditch attack when a player commits all their resources and units to try to defeat their opponent, typically when no other options are left. If an All-In attack fails, the attacker almost always loses. Dropping units on top of enemy units in order to cause damage to them. This is typically done with units that cause AoE damage, such as Banelings or Siege Tanks. An unexpected strategy, chosen to catch the opponent off-guard with something they don’t see coming. This often refers to more unorthodox or gimmicky builds and tactics. A chokepoint, or a narrow gap between two areas that serves as a strategic defensive point on the map. A chokepoint will require fewer units to defend successfully in most cases. Placing units outside the enemy’s base, thus preventing them from pushing outwards or expanding without your knowledge. This is intended to limit the opponent’s options and ensure the player is aware of what they are trying to do. A stain on the map produced by many Zerg units. Zerg units move faster and regenerate health when standing on top of Creep. It also allows the Zerg player vision of the areas covered by Creep. The player’s resource income and the number of mining units compared to their opponents. A mechanic which obscures unexplored parts of the map from view. Areas that cannot be seen by the player are considered covered by the Fog of War and can only be discovered through scouting. Vision is what the player can see and control of it is key to monitoring the enemy’s activities and limiting their options. A term that encompasses Zerg’s Control, Protoss’s Psi and Terran’s Supply. To attack the enemy’s units with a few fast-moving units to distract and annoy them, as well as possibly wear them down over time. Similar to hit-and-run tactics. Using long-ranged units to attack enemy units with a lesser range by staying out of their reach but within your own. Regularly moving your units out of range of the enemy’s attacks is important, as it forces the enemy units either to move closer, sit and take damage, or retreat. The amount of vision a player has of the map. Creating a unit-producing or tech structure outside of the player’s main base, where the opponent cannot see it, to grant a strategic advantage. An essential Protoss structure, which powers all structures around it. It provides a Psionic Matrix, allowing the Protoss to use it for transportation as well as to operate their structures. 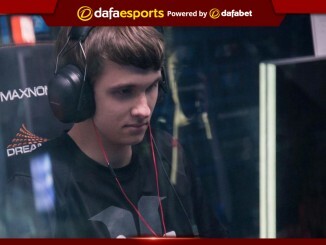 These are high-value targets to the Protoss player’s opponents for this reason. An aggressive tactic where the player attempts to overwhelm their opponent early in the game with specific combat troops. The act of using your units to reveal areas of the map in order to get an idea of what your opponent is doing. A unit with high HP built to protect other more vulnerable units. Weak starting units which can create structures and harvest resources, important to any strategy. These terms are only a few of the more technical aspects of Starcraft’s vocabulary. They should be useful to new players just getting into the game, alongside the game’s own tutorials to explain the mechanical side better. As a player develops and gains experience. they can start to concoct their own strategies and play styles to better suit their preferences. With any luck, this guide might just give you a few ideas.